“This violin originates from Mozart’s estate and Mozart always played it. I bought it from Mozart’s widow”, noted publisher and composer Johann Anton André around 1840. And in a diary entry by William Hill written on 11 November 1909 he noted: “Dr. Henkel, who wants to sell his Violin by Petrus della Costa, has sent me the history of the fiddle, it is as follows. His father bought the violin from Hofrath Anton André of Offenbach about 1840 since which time it has been in the family. Henkel’s father (Kgl. Musikdirector in Frankfurt), was a pupil of André who was one of the first publishers of Mozart’s compositions. On this latter’s death he purchased from the widow the greater part of his MSS & effects, amongst which was this identical violin. André always spoke of it as ‘Mozart’s violin’ and I see no reason to doubt this statement.” The instrument was kept under lock and key by the company Hill & Sons until its dissolution. 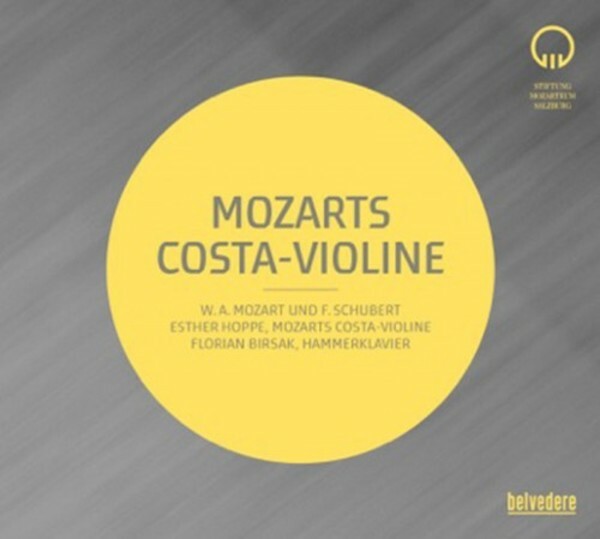 During the time Mozart lived and worked in Vienna, he possessed and played the Costa violin. It is quite likely that, now, Mozart’s Costa violin resounds again in this public concert after a very long period of silence. In cooperation with the label Belvedere Edition the Mozarteum Foundation is publishing highlights of the Mozart Week from its beginnings until the present day . Contemporary history and the history of interpretation become audible in carefully restored sound documents of excellent sound quality. Moreover, the edition will also comprise current recordings from the Mozart Week and concerts throughout the season.